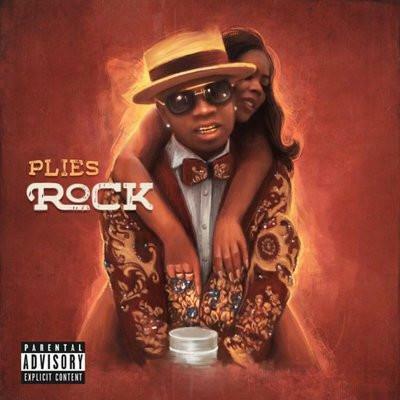 Home>New Songs>Plies Songs> Plies Lands Jacquees, Jeremih & Tank On R&B Remix Of "Rock"
"Rock" was R&B fancy before it even crossed the minds of devoted couples searching the ideal song. "Rock" damn near saved a marriages from ending abruptly. This here "R&B Remix" trudges along familiar ground, while also breaking new stylistic ground for music listeners more familiar with songs of faithfulness being sung than rapped. As with his standard issue remix featuring Remy Ma & DJ Khaled, Plies makes solid picks in his recruiting class. In fact he only reprises the hook so his guests can take part ownership of the song, and full ownership of their vertical dealings. The Remix kicks off with Jacquees describing the events following his signing advance, which he claims to have spent on his sweetheart, his one true "Rock." Jacquees's verse comes to a close as he sheds his singing voice for several bars. He describes his ideals or what you'd figure he has in tow. Jacquees doesn't only limit his sendoff to romantic relationships. The ideals he best describes also pertain to his running mates, replacing repetitions of "Rock" with "Chop" to describe their sideline activity. Tank's second verse continues the narrative of his unexpected rise to fame, framed along the lines of "Rock-like" partnerships helping pave the way. His comeuppance as a singer came to fruition almost by accident, when he embarked as a backup vocalist during one of Ginuwine's Tours at the turn of the century. The most memorable verse is a distinction reserved for the talented Jeremih. His insistence that his "Rock" stays out of his business is perhaps the least heartwarming take, but perhaps the most realistic portrait of a modern R&B singer skewing the lines of decency. SONGS Plies Lands Jacquees, Jeremih & Tank On R&B Remix Of "Rock"